The guiding principles of the Student Equity Plan (SEP) is to ensure the population of historically underrepresented students reflects and surpasses the ethnic and cultural profiles of communities served by the college. The annual actions are aligned with initiatives of institutional planning and college resources. Committee membership is indicated in Board Policy. Terms of Service are not prescribed. 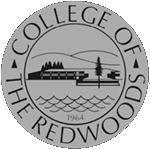 The College of the Redwoods Student Equity Plan Committee is tasked with producing an Executive Summary Report that list action which demonstrate evidence of progress toward achieving specified goals and implementing activities of the Student Equity Plan. The committee is charged with aligning these initiatives with institutional planning and college resources. Each year, Student Equity Annual Plan is created with action items that are driven by these goals.